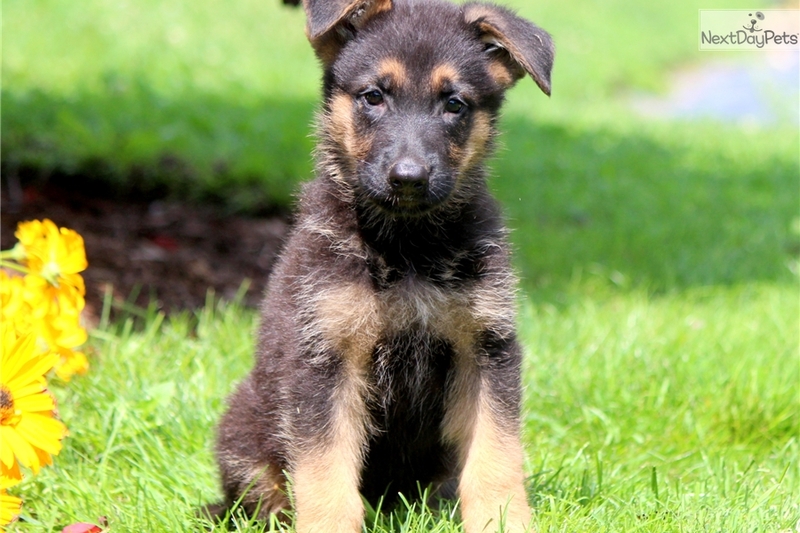 his is a lively German Shepherd puppy who will make an excellent pet. He just loves everyone he meets and will love them even more when they rub his belly. This beauty is AKC registered, vet checked, vaccinated, wormed and comes with a 1 year genetic health guarantee. Don't miss out on this puppy becoming your new best friend! Please contact us for more information or check out our website at www.keystonepuppies.com for pictures of all of the available puppies for sale.